A random joy of engaging with debut novelist Lacy Crawford who wrote “Early Decision” a novel on the harrowing experiences of attempting to gain entrance into University! 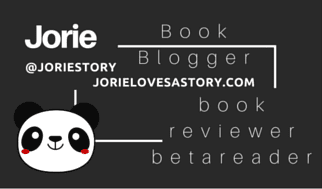 “Stories of Jorie” will simply be what it sounds like being ~ stories of my own joy as it arrives inside my life! I’ll be sharing more about my interests and hobbies outside the bookish realms, as much as staying true to my bookish roots on Jorie Loves A Story. I’ll be sharing t he background of why I choose to curate my lists on Riffle as much as spread the joy of what makes me smile inside my ordinary hours. I simply needed the first twelve months to focus on blogging about books, getting my feet wet as a blogger, and finding my way through blog tours as much as sorting out that curious ‘thing’ called the “Twitterverse”. This is a dawn of a new day, this is Jorie, the girl who is affectionately addicted to sharing her love of stories and the joy of curating her own stories each day that she lives. I honestly logged onto Twitter to have a bit of ‘downtime’ as my Thursday didn’t actually end until 4am Friday morning, as I was awaiting news about my neighbour who had been taken to the ER earlier in the evening around 8:30pm. She’s in her late 80s, and I was growing concerned as the hours ticked off the clock that perhaps it would be a bit more serious than a virus; thankfully she was diagnosed with early on-set pneumonia. She’s recovering on antibiotics whilst I am trying to shift my day forward as are my parents, as we’ve been involved since she was taken to the hospital. Therefore, I was thinking of finishing the drafts I had began for two Top Ten Tuesdays (last weeks & this weeks) as I was delayed in posting both due to health reasons. I thought I should flesh out my *first! * 10 Bookish & Not So Bookish post of which has grown into a rambling journal of events from June, July, & now September! I’ve tried to participate thrice over since I first decided to participate *weekly! *, yet Summer has not yielded a lot of completion on the original ideas I had to share during the weekly meme! I like to hop on Twitter because I know Fridays is a nice afternoon space for the bookish soul who wants to catch-up on the literary news floating through the twitterverse; not to mention I am always half a step behind the Publishers’ who are happily tweeting through the week on upcoming novels & other lovelies that might perk an interest. I also wanted to work on my new home for #ChocLitSaturdays which is @ChocLitSaturday, but I never actually broached further than *catching! * up with my own Notifications and tweeting out notes of gratitude to William Morrow about my last tour stop Someone Else’s Love Story. I wanted to double-check I was following HarperCollins directly as I have come to learn recently I read quite a heap of titles by their imprint William Morrow as well as titles threaded through HarperCollins in one way or another. (courtesy of a new indexing feature I am archiving on my blog!) 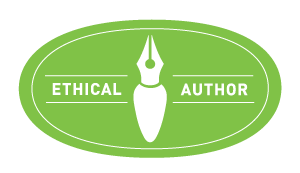 I have a lot of Publishers I follow on my List for: Press & Publishers [Major Trade, Indie Press, Editors, & the Publishing Life!] but as I walk through my reading adventures year to year as a book blogger, I am purposely holding off following all of them directly as I am trying to sort out which publishers turn my eye the most per annum. Although I tweeted about my joy of this P.S. Edition, I am now questioning if I had tweeted out my love of the original joy I had whilst reading The Ghost Bride whereupon I made my joy known for the first time! @WmMorrowBks Thanks so much for including the #bookmark of @Espngreeny‘s novel of which I gave a s/o on this #review http://t.co/TSKjIk5Jxz! I love the books I recommend so much that it seems self-evident to me that they should be bought, savored, cherished. But how to convince? @HarperCollins best way to convey your passion for a novel; simply to speak of what drew your eye into the story & why it was unputdownable! @JLovesAStory I did. One nice man backed away, very slowly. Waved. Gave me a wan smile. Fled to bakery across the street. @JLovesAStory Booksellers manage to find common words for these experiences, to communicate them kindly, with energy. @JLovesAStory Nope. But a Saturday afternoon. Lots of browsers. Also, after publishing, I feel even more grateful to writers I already love. I have a tiny sense of what it was like for them. I imagine. @literaryetc I love meeting bloggers. I wish they’d say so! There is an undeniably sweet pleasure to writing before publication, when it’s just you and your dreams. I’m tweeting from SoCal. It is the polar opposite of HarperCollins’ new offices. At the edge of a canyon, with hawks surfing the ridge. My book’s main character is not me (I). But many people think she is. They think they know, for example, some pretty sordid stuff about me. This can be awkward on the playground, when they meet my husband and say, Oh, is that the guy she meets at the end? He’s used to this. Also the axis of New York / not New York is fascinating. A book will be huge in Brooklyn and in SoCal they say… Huh? Similarly all of LA can be mad for a story and the east coast hasn’t yet read that tweet. @HarperCollins I have been doing this a LOT during my 1st year as a #bookblogger; I cannot wait for all the lovely #newreleases forthcoming! @HarperCollins Prior to blogging, used to cheer quietly & celebrate #authors to other #readers & #librarians; now I contact them personally! By the way: when I sold my book, I was not on (had never joined) Twitter or Facebook. I did not blog. Just a little myth-busting.
.@stephborkowski Books always sell one at a time, person to person. Social media can help, but the story must live and move between people. I only have a few minutes left here. THANK YOU, HarperCollins, for the chance to takeover! @HarperCollins @lacy_crawford I am positively THRILLED I logged on in time to find this wicked sweet #twittertakeover! Honoured to join in! Happy weekend to all the good book people, readers and writers all. @HarperCollins Happy #bookish weekend to you, too! Do you all do this regularly!? On Fridays, I mean!? I want to mark my calendar! Awesome! As you see, I was happily engaged in this conversation, enjoying where it led, and simply went with the flow of the conversation! I did not even mind if I received a few replies over the score of it, because I was thankful I could participate and there were other tweeters I was happily seeing get their tweets responded too as well! It felt very balanced and fair, and I think Ms. Crawford did a smashing job at engaging with her audience & giving out such an honest impression of where her own thoughts lay on the topics. Previously to this conversation, I have always appreciated the chats I attempt to participate in weekly as time and life get away from me and I cannot always drop-in on my favourites! It is nice seeing publishers hosting open forums as well as independent literary sources and readers! I love googling for book excerpts whilst I am participating on blog tours and/or reading books outside of a tour — it helps me provide extra bits of information on the text I am reading, but one smidge of a secret is that I routinely browse SoundCloud & Scribd for my own edification for other novels which whet an interest for me to read! :) This includes novels and/or non-fiction titles that I might put on hold at my local library [as I borrow quite a heap each year] or suggest a Purchase REQ if its under the six month bar of availability to ILL (inter-library loan). Inveribly, I like finding either an audio and/or print excerpt to gain a bit more insight into the novel and/or non-fiction topic I keenly want to soak inside. To be honest, I am always cognisant of what I mention on my Review Policy as flags I’ll mark off inside my notations for Fly in the Ointment; I’m always trying to sidestep this from happening, but for the most part, we’re always a bit blind when we select books to read. We can do our due diligence ahead of time, but we still might end up with a wrinkling of our brow; at least it is true for me! Inspired to Share: I came across a radio Interview between Ms. Crawford and an Sirius XM radio host (personal note: I used to ADORE listening to all the lovely channels on XM radio!) whereupon a bit more of an insight glimpse into the backstory of how the novel was written and how she was inspired to write it whilst maintaining a bit of distance between the real-life composites who inspired the story to be told. I appreciated finding out more about the novel, but also more about the entire ‘story!’ of how to enter University from an Admissions Counselor. As disclosed on My Bookish Life, I’m a self-educated / library-educated girl who opted out of University, yet that doesn’t mean I haven’t amassed my own filing cabinet of knowledge of the chaos that is involved in being accepted. I simply haven’t sorted out if I should turn half of it into fiction or use the know-how to help my future children navigate if they want to attend and/or opt-out like I did. I personally do not mind either way, because truly, there are many paths towards achieving your goals and dreams. We’re not cookie-cutter learners nor are we destined to all take the same path as everyone else. A quinky dink of a coincidence would be that I tend to gravitate towards stories about college and/or the University years, even though I am removed from the experience. I always like hearing other people’s stories even if they are wrapped inside fictional accountments, because it is through stories we all learn more about ourselves whilst embracing the differences of others. Stories pass on our heritage as much as who were were whilst we lived. Inspired to Share: This is an interview I found shortly after I was editing this post to publish, and felt the post would not be complete without its inclusion. Mostly as it is such an honest example of what high school Juniors & Seniors are going through to prove they can enter upper levels of schooling. I can tell after I read the novel I’ll have to sort out how much I want to comment on and how much I want to share about my own experiences, as part of the disillusionment for me about University was how competitive driven it was to enter yet once your there, most of it was a glorified addition to high school without the benefit of being in a place where free thinkers and individual expression was encouraged. Not that this applies to all colleges and Universities, but I think for the most part, what is missing is the exploration of encouraging ideas which exist outside the box and allowing students to forget their own paths whilst encouraging their curiosity for knowledge. I’ve talked a bit about this previously, which is most likely why I have my eye on books on education as I know in the near future I’ll start to adopt and become a Mum myself. The quest to find balance and a better path for education will now lay on my shoulders and continue forward from where my own path concluded. My favourite part of this conversation was when Ms. Martinson spoke about the positive contribution libraries give to all of us and how all of us have the advantage to stay curiously healthy by picking up our holds and diving into new books which will hopefully enlighten our minds as much as our hearts! Rock on, Ms. Martinson! The fundamental roots of how I became self-educated is the fact I’ve had a library card since I was a young wist of a reader! What wicked sweet bookish event have you ‘stumbled across’ on Twitter which encouraged you look into the author & the book being spoken about so heartedly? What do you enjoy the most about bookish chats on Twitter where you get to engage with readers, bloggers, publishers, literary agents, and authors directly!? Do you regularly attempt to attend as many as you can as I do!? Ho hey! I broke 19K on Twitter today!